"I.O.U.S.A. The Movie" is a 2007 documentary that warns about the U.S. debt. Its message is even more important in 2018 when the debt exceeded $21 trillion. When the movie was released, it was $8.7 trillion. 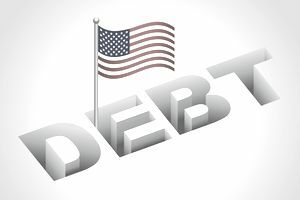 The producers did an excellent job of explaining all of the issues surrounding the growing federal debt. The film is both clear and entertaining, not easy to be so with such a technical topic. It starts off with interviews engaging average Americans to answer this question, "How big is the U.S. debt?" The answers are funny but frightening because most people don't know. You'll find easy-to-grasp visuals to illustrate the massive size of the debt. The images showed comparisons of the debt in relation to output of the U.S. economy. Gross domestic product was $13.7 trillion when the movie was made. In 2017, it was $19 trillion. The producers tried to warn the country when the debt-to-GDP ratio was 64 percent. Now it's more than 100 percent. The movie is prophetic because it warned that the debt would only grow if nothing was done. But the truth is even worse. The debt has grown despite Congressional action. Congress enforced a mandatory 10 percent spending cut called sequestration. But Congress added to the Overseas Contingency Fund that's exempt from sequestration. In the 2017 tax cuts act, Congress exempted defense spending from sequestration for two years. “I.O.U.S.A.” features former U.S. Comptroller General David Walker as a key speaker. In 2007, he was interviewed on “60 Minutes”. In the movie, Walker explains the many reasons why the U.S. debt will continue to drag down our standard of living. It helps you understand how the debt will affect you and your children. It uses dynamic graphics that show how the debt was created by four types of deficits. The first three are a leadership deficit, a savings deficit, and a balance of payments including a trade deficit. The most time is rightly given to the fourth deficit, the budget deficit. The deficit increases the debt. Interest payments on the debt add to the deficit in a vicious cycle. Each year, government overspending is added to the debt. In other words, the debt to fund World War II has never been repaid. Each war increased taxes and led to post-war recessions. The film points out how Reaganomics and subsequent supply-side economics expanded the debt. The theory said that lower tax rates would free up businesses to create more than enough growth to replace the lost revenue. Instead, debt skyrocketed. Official budget deficit reports don't show the true addition to the debt. The movie explains how politicians use the Social Security fund to subsidize government spending. Thanks to decades of pilfering, the funds are dwindling. There won't be enough to pay for future retirement benefits. Who are to blame? Presidents Bush and Obama created the largest budget deficits. They both had to use expansionary fiscal policy to fight the 2008 recession. But President Trump is not far behind. His FY 2019 budget creates a $985 billion deficit. He is not fighting a recession, so there is not the same need for such excessive spending. The debt becomes even more unsustainable when interest rates rise. When that happens, the interest on the debt will cost more than the $250 billion it does now. The film's credibility is enhanced by interviews with financier Warren Buffett and Former Federal Reserve Chairmen Alan Greenspan and Paul Volcker. It was directed by Patrick Creadon. The Peter J. Peterson Foundation funded the movie. If you would like to work on solutions, check out the Foundation's website. This film was made before the financial crisis in 2008 that created trillions more in debt. The problem is even worse now and will continue to escalate. The U.S. debt was at crisis levels during President Bush's administration. President Obama added $7 trillion. That makes him the president who contributed the most to the U.S. debt. The film's only downside is that it wasn't widely distributed. Sadly, it ran for less than a week. Here's the two-minute trailer. You can watch the entire movie free on YouTube right now. There's also this 30-minute summary. It isn't available on Netflix.